On this day in history, 1966, at around 10:30 a.m. a B-52G Bomber collided with a KC-135 Stratotanker, accidentally scattering its payload of four nuclear bombs, 70-kilotons each. Three of the bombs fell near the fishing village of Palomares, Spain, and the fourth landed in the Mediterranean Sea, taking a full 80 days to locate and recover. 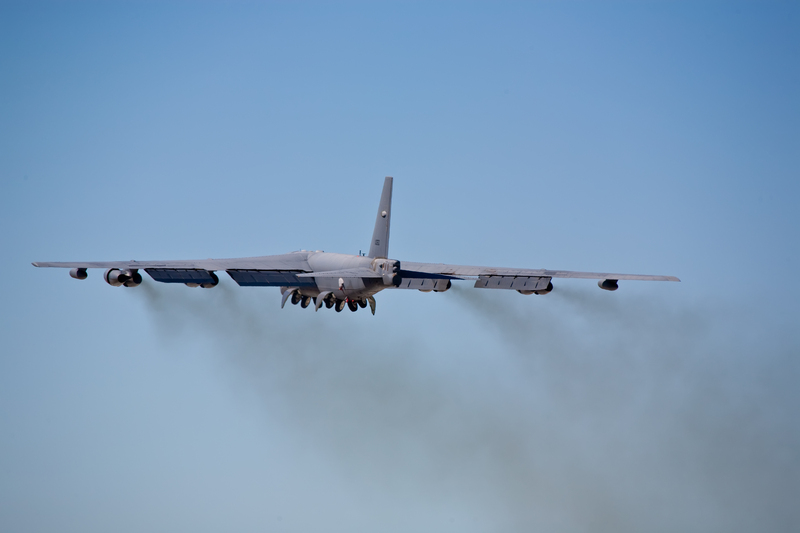 The B-52G had been attempting to refuel from the KC-135, but came in too fast. Normally, if a collision might appear to be imminent, the boom operator on the refueling tanker is supposed to notify the other plane to break away immediately, which they will then do. However, in this case, for whatever reason, the boom operator said nothing, which ended up costing himself and the rest of the Stratotanker crew their lives as the B-52G collided with the refueling boom. This resulted in the KC-135’s fuel payload exploding and the B-52G breaking apart shortly thereafter. It also resulted in three of the seven aboard the B-52 bomber dying, with the other four managing to parachute to safety. One of them managed to make it to land, but three of them landed in the sea and were later picked up by fishing boats at sea. Aside from losing the two aircraft and the destruction of four nuclear bombs valued at around $2 billion each (according to the Secretary of Defense’ valuation at the time), the area around Palomares was also subjected to high levels of ionizing radiation. While the nuclear bombs didn’t detonate fully, the traditional explosives (the high explosive igniters) in the bombs did detonate with two of the bombs when they hit the ground. This resulted in their core radioactive materials being spread about in the air and contaminating an area around 1-2 square miles. The third bomb was found mostly in-tact in a river bed nearby. The fourth was significantly harder to locate due to the fact that its parachute had deployed (the parachute tail plate was all that was initially found, which led them to believe it had deployed) and so they presumed it had landed somewhere in the Mediterranean. After 80 days of searching, it was finally located and, after a botched first attempt at recovery resulting in them losing it again for a time, it was successfully recovered. Interestingly, salvage rights for it were claimed by Simó Orts. This customarily grants the locator of the item 1-2% of the value of that which was found. Given that the bomb was valued at around $2 billion, Orts asked for the lower 1% amount of $20 million. It isn’t known how much he actually ended up getting, but the Air Force did eventually settle with him, paying him an undisclosed amount of money. Incidentally, one of the divers who was working on finding and recovering the missing nuke, Carl Brashear, lost his leg when it was crushed in an accident during the search. Apart from being an important event for the unlucky Carl Brashear, this was also the inspiration for the movie “Men of Honor” starring Cuba Gooding Jr., Robert De Niro, and Charlize Theron. Also of interest is that the Boeing KC-135 Stratotanker line of aircraft has now been in service for 55 years. What’s even more impressive about these planes is that they are projected to still be fully operational up until around 2040, giving them a total service life of around 83 years, at which point they will be phased out in favor of the Boeing KC-46. These planes currently cost the U.S. government in maintenance and operations cost around $3-$4 billion per year and rising every year as they age and maintenance costs go up. This incident was the basis for the movie “The Christmas Tree” starring William Holden. If your going to write a headline, remember: “on Acciedent” is wrong. “by accident” is the proper terminology. If you are going to make a comment on proper grammar you could at the very least spell “ACCIDENT” correctly. LOL! My pilot friend informs me that the end-of-service date of 2040 is also applicable to the B-52H. It is. I worked on the B-52G model back in the 1980s; the USAF has gotten their money’s worth out of them for sure. And what are the cancer rates in people and fish ? So much is not told or is it hidden ?